Oversized Replacement Covers for waterproof snap frames and also external forecourt signs that have a rubber gasket round the edge so need a larger cover. From just £3.80 + VAT. These covers are anti-reflective and have a UV retardant to help keep your posters looking nicer for longer. Delivery is a flat rate of £10 + VAT to London and the UK Mainland. - What does "oversized replacement cover mean"? It means that the cover is larger than standard. So the A1 oversized replacement cover for example, is larger than an A1 size by 29mm. 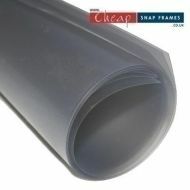 This extra size is ideal for forecourt signs that have a rubber seal that needs to be covered as well as the poster. - Why do I need a cover? The clear plastic cover helps protect your posters from the wind and rain as well as against potential vandals. It keeps your graphic panels looking fresh and clean. - What are the over sized spare covers made of? The oversized replacement covers are made of 400micron thick PVC and have a special anti-glare UV protection. - How do I change and replace the cover? Simple. 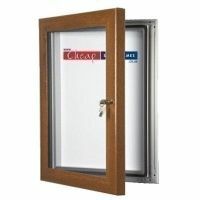 Just open the snap frame edges from the front, take out the old cover and pop in the new cover over your poster panel. Then just snap the edges of the frame shut, holding everything in place.